We have to make a choice in this country. We either put people who are smoking marijuana behind bars or we legalize it. But this little game we're playing in the middle is not helping us, it is not helping Mexico, and it is causing massive violence on our southern border. We need to prioritize our law enforcement effort, and if somebody's gonna be in their house and not do anybody else any harm, then perhaps there are other things to be looking at to engage in, and try to clean up some of the other problems that we have in society that are appropriate. Governor Palin had it exactly right. 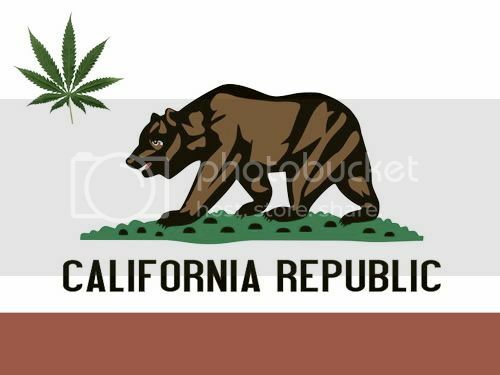 I think Californians here have a unique opportunity this fall to vote YES when it comes to taxing, regulating, and controlling cannabis. What everyone with even the weakest grasp of common sense seems to be saying is that the prohibition of marijuana does not work. Something needs to be done, and on November 4th California has the golden opportunity to do that often intangible something. Let California be a living lab of what a society would look like if marijuana were legalized. I'm confident we'll get it right and avoid the collapse of civilization. Change has to start somewhere, and California is the coolest state anyways, so let's keep it that way. Coolness not something you aspire to? Well, in 2009 California spent over $50,000 for every single one of the 1,629 individuals arrested for marijuana (cite). Moral people? The main fuel of the drug cartels in Mexico, who are literally running the country in the midst of a 3-year killing spree, comes from smuggling weed into the United States.Will legalizing marijuana completely stop the violence, no, but cutting off a major money source (over 60%) can't hurt. Yes on 19. If the Dutch can do it, so can we.